General Conway was born in Walnut Ridge, Arkansas and is a graduate of Southeast Missouri University. He was commissioned in 1970 as an infantry officer. His company grade assignments included multiple platoon and company commander billets with both the 1st and 2nd Marine Divisions; Executive Officer of the Marine Detachment aboard the USS Kitty Hawk (CVA-63); series and company commander at the Marine Corps Recruit Depot in San Diego; aide to the Commanding General, and Director, Sea School. 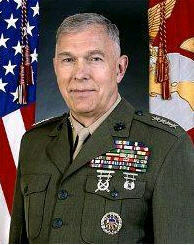 As a field grade officer, he commanded two companies of officer students and taught tactics at The Basic School; he also served as operations officer for the 31st Marine Amphibious Unit to include contingency operations off Beirut , Lebanon; and as Senior Aide to the Chaiman , Joint Chiefs of Staff. 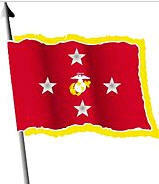 Promoted to Lieutenant Colonel, he was reassigned to the 2nd Marine Division as Division G-3 Operations Officer before assuming command of 3rd Battalion, 2nd Marines in January 1990. He commanded Battalion Landing Team 3/2 during Operations Desert Shield and Desert Storm. Selected for colonel, he served as the Ground Colonels' Monitor, and as Commanding Officer of The Basic School. His general officer duties included Deputy Director of Operations, J-34, Combating Terrorism, Joint Staff, Washington, D.C.; and President, Marine Corps University at Quantico, VA. After promotion to Major General, he assumed command of the 1st Marine Division. In November 2002, Major Conway was promoted to Lieutenant General and assumed command of the 1 Marine Expeditionary Force. He commanded 1 Marine Expedititionary Force during two combat tours in Iraq. In 2004, he was reassigned as the Director of Operations, J-3, Joint Staff, inWashington, D.C. 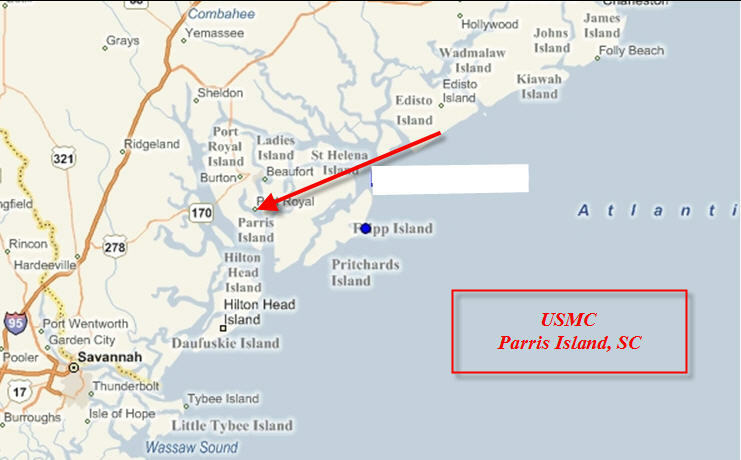 The 1st Marine Division will get a new commander today September 28, 2007 as its members prepare to deploy to Iraq between late this year and early 2008. Maj. Gen. Thomas D. Waldhauser will take over the division from Brig. Gen. Richard P. Mills. Mills will move to Iraq to oversee ground troops for Multi-National Force - West. Waldhauser previously worked as chief of staff and director of the command support center at the U.S. Special Operations Command in Florida. The 1st Marine Division, which has about 19,000 service members, is the most decorated infantry division in the Marine Corps. - R.R.